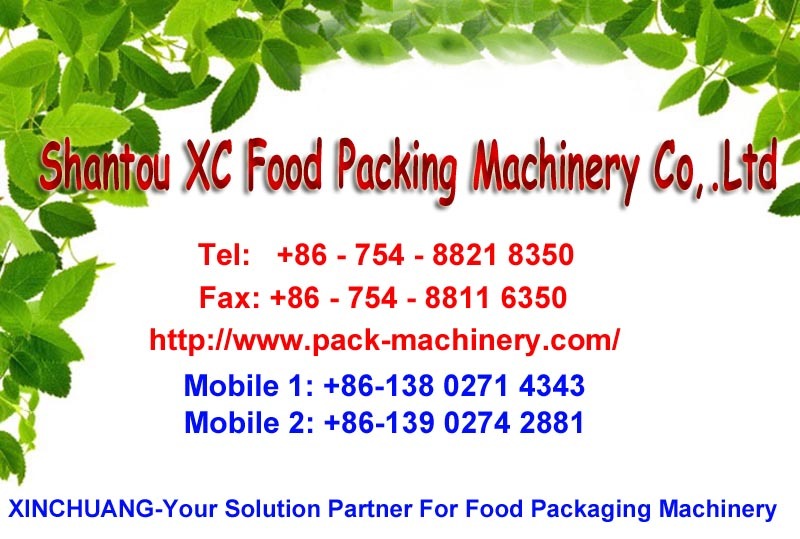 Cover with the film and pack the machine into a wooden case then up to a 20 foots container. Available Products: Soybean milk, milk tea, drinking water, yogurt, juice, all kinds of liquids. 1. Beautiful, clean, bright shape of machine. 2. All machine materials are made of stainless steel SS# 304 and meets the sanitation standards for beverage. 4.The whole process is completely automatic from container supplying, filling, sealing, leftover material cutting, pruduct being moved out to leftover material receiving. 6. Can fill, seal and cut several containers at the same time. 7. Improve the production efficiency. 8. Has photoelectric eyes tracking. 10. Fitting for filing and sealing all kinds of sauce and products like , such as soybean milk /milk tea /drinking water /yogurt / juice, etc. 11. 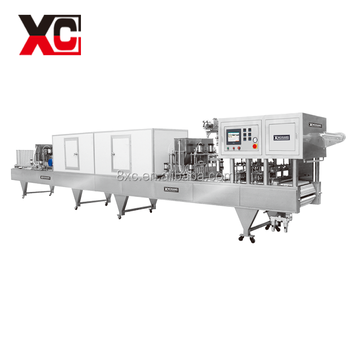 The machine easy to operate, less maintain, lower noisy, high speed to improve production efficiency and lower the cost. 14. After sales service provided: Engineers available to service machinery overseas.